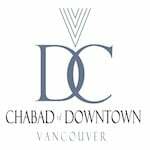 In 2006, Chabad of Downtown established the first Synagogue in downtown with regular services for Shabbat, Jewish holidays and communal services such as brit mila, baby naming, bar/bat mitzvah, wedding celebrations and kaddish services. We are proud of the warm, intimate atmosphere of our Shul, where every individual is a vital contributor. Following Torah reading, the Rabbi usually shares a short sermon, and at the conclusion of the services everyone is invited for Kiddush, bringing together people of all ages to connect and enjoy a Shabbat lunch, friendly atmosphere and warm community spirit. Kiddush sponsorships are available to honour the memory of a loved one or to celebrate a joyous occasion. This friendly atmosphere is often confirmed through the reactions of our many visitors from out-of-town, who immediately remark on how welcome and at-home they feel, and how impressed they are with the friendship and camaraderie among everyone.